I’m Robert Hodson and I work for Landmarc, who are contracted by DIO to run the military training estate. This is pretty wide ranging, from land management to range and training area support. My role is as a rural manager for the south east region. 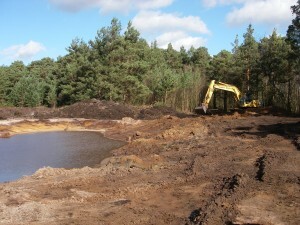 I’ve recently finished a project on Elstead Common in Hampshire. The area is used by soldiers to practice small-scale infantry manoeuvres and for logistical exercises but is also popular with local people for walking, horse riding and cycling. The Common is also a Site of Special Scientific Interest because it is heathland and has a wide variety of plants and animals, including reptiles such as adders and smooth snakes. 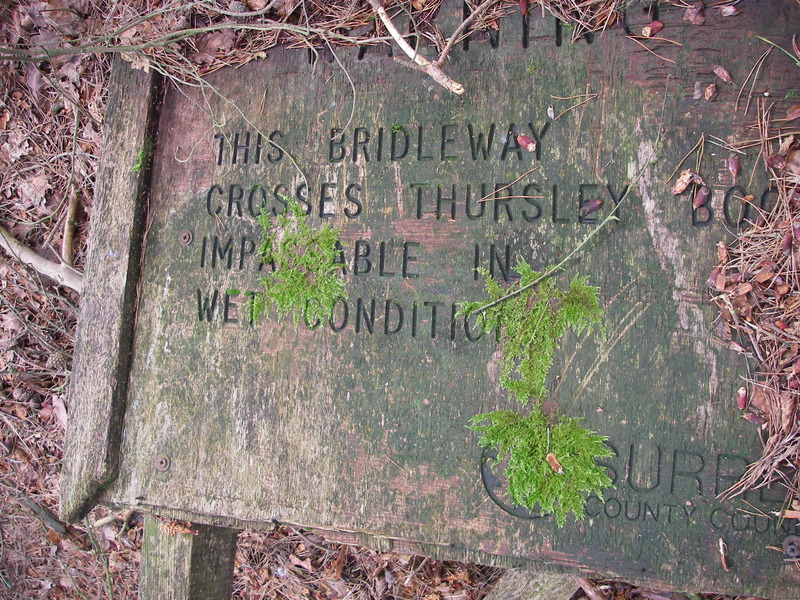 Various public rights of way pass through the Common but one, a bridleway, had been causing us concern. Over recent years it was frequently flooded with some areas being underwater more or less permanently. This made it largely impassable – problematic when it is a route for military training, public use and for the fire brigade to reach heath fires, which sadly are not uncommon in this area. DIO has recently established the Hankley Users Group (HUG), which regularly meets up with local residents, councillors and different interest groups. 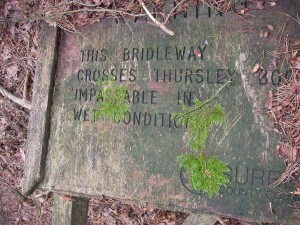 These meetings provided the impetus to address to ongoing problems on the bridleway. Resolving the issue required a close partnership between Landmarc, DIO and Natural England, who are the other landowner on the Common. 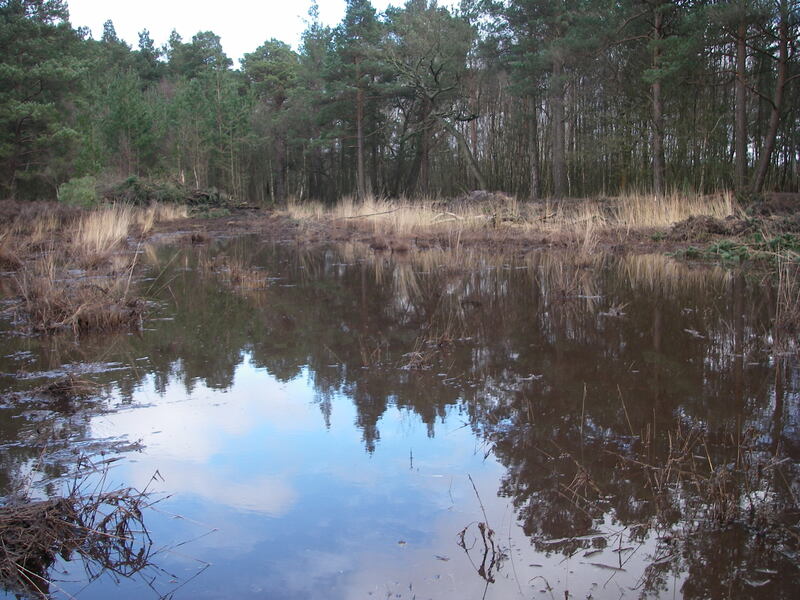 Discussions took place to decide the best way to solve the problem with the least impact to the sensitive wetland on one side of the bridleway - Thursley National Nature Reserve - and at the same time enhancing the landscape of the ‘dry heath’ on the adjacent side. To do this we agreed to raise the level of the bridleway. Rather than bringing in what would have been in excess of 1000 tons of stone, we instead dug a series of linked, shallow ponds alongside the route and used the excavated material to raise the level. We estimate that this method has saved thousands of pounds and is helping us all to meet our ongoing requirement to operate in a sustainable way. An additional benefit to the bridleway being restored has been the creation of 7 linked ‘balancing ponds’ instead of a traditional linear ditch line. These ponds slow the progress of water into the local river system, helping to reduce flooding whilst providing a great new habitat for species such as dragonflies. We worked closely on site with Natural England and managed to complete work in just two weeks. I’m really pleased with the response we’ve received. Not only is the bridleway now fully accessible for the military again, but local horse riding groups are thrilled with the improvement and the sympathetic way it was carried out. Local schools and wildlife trusts are also visiting to see the biodiversity in the area which is great news.